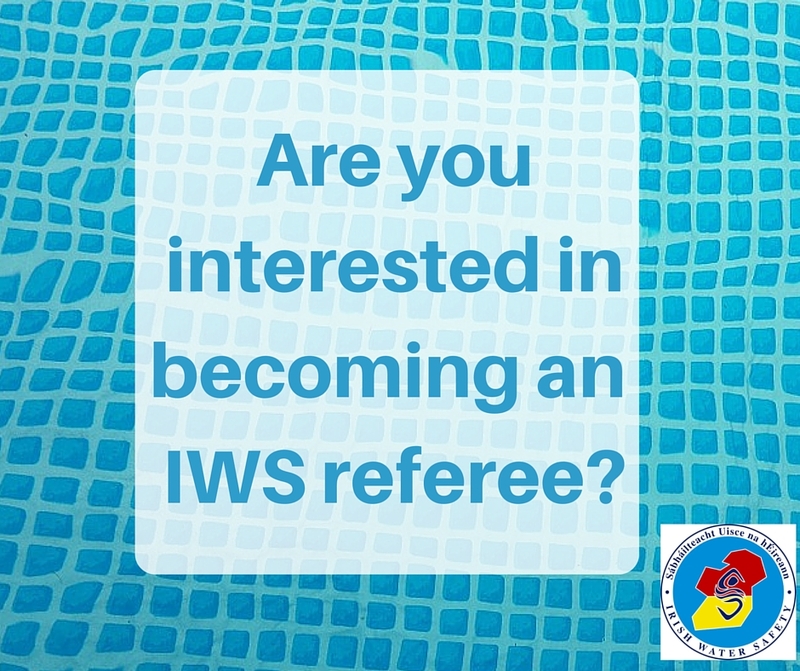 Are you interested in becoming an IWS referee? The Sports Commission are pleased to inform you that they are running an International ‘B’ Referee & National ‘C’ Referee – Pool and Referee Refresher courses this year. The courses will be run by International ‘A’ Referee, Frans Kenis, and take place in The Kilmurry Lodge and University of Limerick swimming pool. Mr. Kenis is a member of the Sports commission ILS and ILSE, Member of the Rule Committee and President of the College of Referees ILSE. This is an excellent opportunity to further develop your skills and to enhance the sporting status of Ireland at International level. Course: National ‘C’ Referee – Pool – For those who wish to start out on the referee journey. Sunday – Duration of National Still Water Championships, followed by written paper. Overnight accommodation and dinner can be booked at the hotel at your own expense. The commission will also be running this Referee Refresher course which all previously qualified referees of all levels must attend if they intend to referee at the competitions. There is no charge for this course. If you wish to participate in the C Referee course or Referee Refreshers Course please email sport@iws.ie with, your Name, Address, Phone, & County which you are a member with, with the course name in the subject line, by 6pm onFriday 5th February. If you wish to participate in the International ‘B’ Referee – Pool course, please return a completed application form attached to the Sports Commission, sports@iws.ie, with International ‘B’ Referee as the subject, no later than 6pm, Friday 5th February.